Patient will demonstrate effective clearing of secretions. Patient will maintain effective airway clearance. Rationale: To help to liquefy secretions. Demonstrate effective coughing and deep-breathing techniques. Demonstrate chest physiotherapy, such as bronchial tapping when in cough, proper postural drainage. Rationale: More aggressive measures to maintain airway patency. Patient will improve breathing pattern. Patient will maintain a respiratory rate within normal limits. Rationale: To provide adequate lung expansion while sleeping. Administer prescribed cough suppressants and analgesics and be cautious, however, because opioids may depress respirations more than desired. 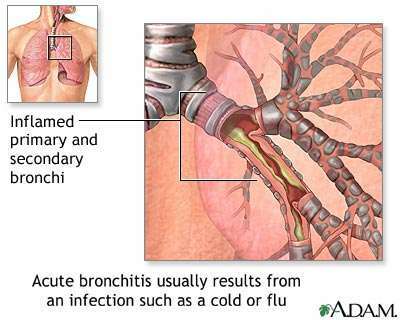 Patient will minimize or totally be free of symptoms of respiratory distress. Rationale: Restlessness,anxiety, confusion, somnolence are common manifestation of hypoxia and hypoxemia. Rationale: To eliminate thick, tenacious, copious secretions which contribute for the impairment of gas exchange. Rationale: May correct or prevent worsening of hypoxia. Patient will identify individually appropriate interventions to promote sleep. Patient will be able to report improvements in sleep/rest pattern. Rationale: Restlessness, anxiety,confusion, somnolence are common manifestation of hypoxia and hypoxemia. Rationale: Lack of knowledge and problems, relationships may create tension. Interfering with sleep routines based on adult schedules may not meet child’s needs. Rationale: To promote an environment conducive to sleep. Patient will have minimize or totally be free from the risk of infection. Rationale: These activities promote mobilization and expectoration of secretions to reduce the risk of developing pulmonary infection. Rationale: Early recognition of manifestations can lead to a rapid diagnosis. Rationale: To prevent risk of oral candidiasis. Administer antimicrobial such as cefuroxime as indicated.